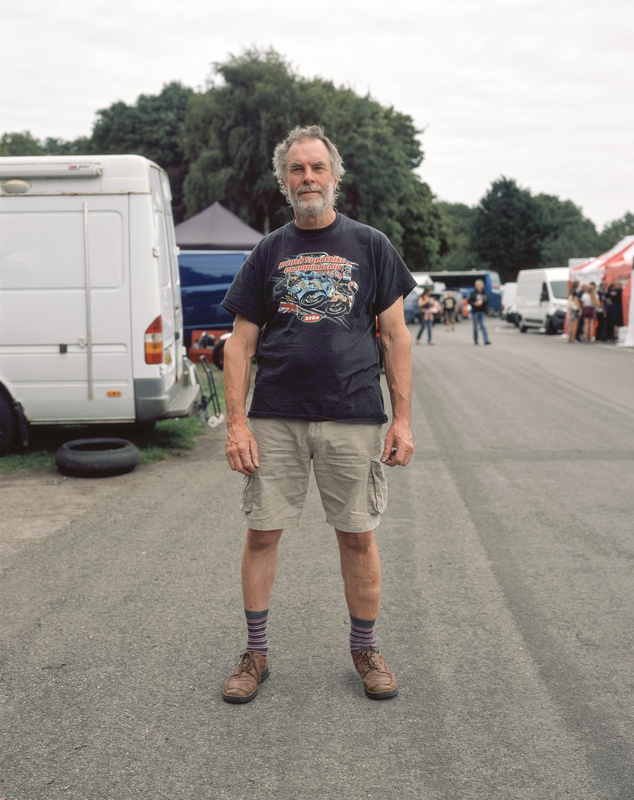 I shot a series of portraits and incidental shots around race paddocks here in the UK. The scope of the project was very prescriptive in that I shot mostly portraits. I have since broadened my view slightly and have been shooting documentary type work around the circuits to supplement the main body of work. The main reason for my deviation has been due to not having access to the original camera I used for the first wave of portraits. The initial work was shot on a digital medium format Hasselblad. It was more of an experiment than anything else because the equipment was available. Other than buying a similar camera to continue the project in the same way I have no real option other than continuing in other ways. Trying to decide how to continue shooting the portraits has been tricky but a recent encounter in the paddock helped me make that choice. The idea for the project came about because of one man. Spring 2011 Crashed on the way to work on my immaculate sports bike. Walked away relatively unscathed but bike was a total loss. Rebuilt the bike and kept it as a track bike. January 2012 Race licence arrives in the post. Join a club and date is set for early March for my first ever race on my 1000cc superbike. March 2012 Our first born child arrived on a Tuesday, I was set up in the paddock at Brands Hatch by Friday morning. Friday was a test day to learn the circuit. After proceedings that day the machines were to be inspected prior to racing on Saturday. The scrutineering bay consists of a covered area where official personnel check bikes and rider protective gear. They issue a little sticker to say they are safe to ride. As I wheeled my machine in to be checked a wiry old fella with a straggly beard sort of hovered over to me and stood uncomfortably close. He looked out towards the circuit and paused. Without another word he shuffled off in his slip on shoes and comfy trousers. I looked at the official and he just smiled. “Who the f*!k was that?” I asked. Now I didn’t know it at the time but the next day I’d be racing against that man. It took me nearly a full season to put two and two together. The reason he took so much interest in my bike and myself was because he was on the same type of machine. He was, however, considerably faster than I was at the time and also considerably faster than most of the other riders out there. Turns out he has been racing since I was just a toddler. 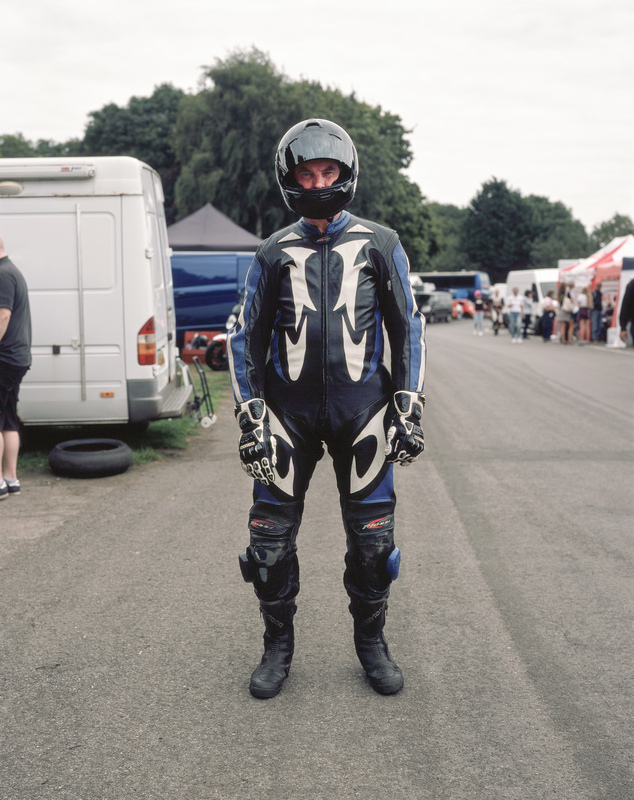 The man is a legend and if it has two wheels and an engine he has probably raced it. Spending my first couple of seasons pretty much living in the club paddock I slowly got to know the club personalities. I was surprised that the wiry bearded chap was the superfast, highly skilled racer that consistently beat me. I also saw that same surprise in the faces of others when I told them. The whole scenario got me thinking about how anonymous we are as riders once we put on our leathers and helmets. At most you get to see a pair of eyes but sometimes not even that if a tinted visor is used. March 2015 I made the step up to National Level and hit a steep learning curve. Since then my riding has improved. I am at a much higher standard than I ever have been but still make the effort to go and race with the club I started with. This year (2018) I have finally won the club championship I set out to win in 2012. I hadn’t seen Paul Willis for a few years so when he pitched up at a club meeting earlier this year I was really pleased. He’s no spring chicken but he’s still fit for a man in his mid to late 60’s and he still rides like he’s a youth. He’s a very wise racer and I have got to know him over the years. I’ve learned a lot from racing with him and listening to his advice. We had a good couple of races at Donington Park this season and he showed his wisdom in our first scrap by turning up onto the grid with slick tyres, when everyone else was on full wet tyres. Wet tyres do not perform as well on dry asphalt and he had judged, to perfection, that by the time we got going there would be a dry line around the circuit. Needless to say he’d made the right choice and he beat me. He also gave me a run for my money in the second race but unfortunately crashed out behind me, which was a real shame, as I like racing against him. Just for old times sake. “We are Racers” was inspired by Paul and when I saw him earlier in the year I knew I had to make a portrait of him. I chose to do it at Castle Combe in Wiltshire after we had finished for the weekend. I have also chosen to use the field camera for any portraits from now on. Simply two exposures on sheet film for each racer I decide to photograph. I will try to add one person to the body of work at each meeting I go to from now on. That should equate to at least fifteen portraits per season.